Could current form see one of our hopes go South? Come on Middlesbrough. Last night’s 0-0 draw with Leeds United raises a worrying concern for Brentford fans. Specifically that we might have to play them again next campaign. Whilst Boro’ remain in the top two, their form has hit somewhat of a rough patch with two defeats , three draws and just two goals coming in their last five league games. 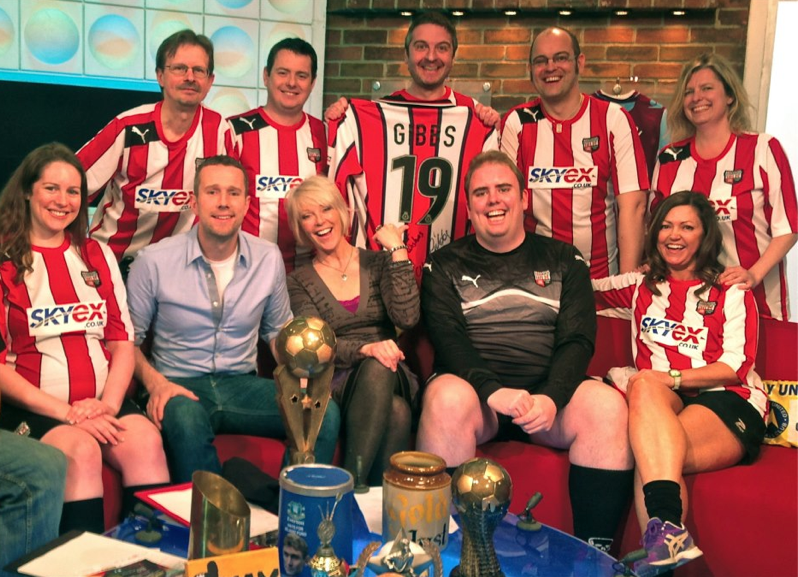 For a team that has beaten the Bees 6 times in the last two seasons, there is a large section of the Griffin Park faithful that will be more than happy to see them promoted to the Premier League. Of course, we must remember that most delicious of clichés. Namely that the league is a marathon not a sprint. Believe me, I’d be much happier having the sort of form that Middlesbrough are currently ‘enjoying’ rather than that of the Bees. The point is made more to illustrate how interesting the top of the table has become. Just three points separate first placed Hull City and Brighton in fourth. Even Sheffield Wednesday, who of course put 4 past Brentford on Saturday, find themselves just two wins off the top as the race for ‘automatic’ has locked up once more. It’s a lovely problem to have and one that, 12 months ago, we were caught up in. Village-gate had been and gone as, with the season’s low point of ‘Charlton away’ behind us, Brentford prepared to get back to winning ways. Of course, we didn’t quite make it despite a heroic effort in, arguably, the most exciting campaign in living memory. Fifth place saw us consigned to an eighth play-off campaign where the combination of a prospective visit to the ‘W’ place, along with games against Boro’, meant that usual service ensued. Any excuse to show this one. Still, if Brentford fans think things are ‘bad’ at the moment (trust me, they aren’t), then do take a look at Leeds United. Despite some stunning signings of their own, including Stuart Dallas and the free scoring Toumani Diagouraga, there remains unrest at Elland Road. 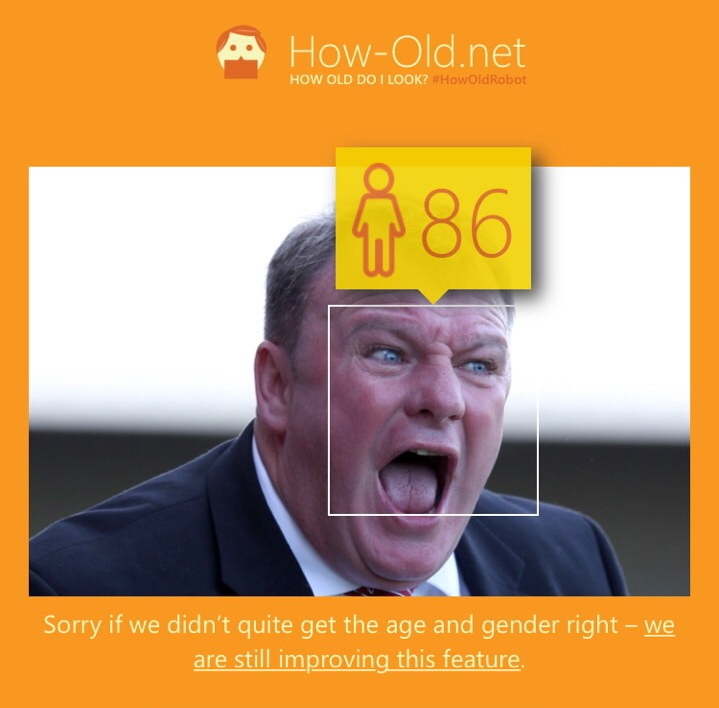 And not just from Steve Evans trying to find a tracksuit that fits him. Controversial owner Massimo Cellino seems intent to take on the TV companies whilst fans, who had been promised a buy out, took to projecting images onto the stadium after the Italian went back on his word. The Yorkshire Post (@Yorkshirepost) were amongst those leading with some incredible images before kick off last night. Let’s not pretend all is perfect at Brentford currently. Despite Matthew Benham’s life saving investment over the years, many are frustrated by the subsequent decimation of the team that achieved so much last campaign. Current form sees us sliding down the table whilst Dean Smith can’t buy a win (or a goal) at the minute. But like Middlesbrough, I’m sure this is just a short term thing. We’ve come too far to throw it all away and I’m convinced the rebuilding operation we’ve put ourselves on (team, rather than stadium) will continue over the summer. Like it or not, Brentford are on a path of consolidation now. Last year’s team are nothing more than a warm and fuzzy glow who will rank alongside the heroes of yesteryear. Instead, let’s just hope that Phil and Rasmus know what they are doing when it comes to any summer recruitment. Barring a miracle / disaster, we’re going to have two London derbies to look forward too along with another chance to take on a Leeds United side who haven’t beaten Brentford in our last 6 encounters. As for Boro’, perhaps its best all round if they just exit the Championship and do what a club of their size should, conceivably, have done last time out. Good luck in the top flight ! Until then, we’ve got a game against Derby County coming up. All being well, a run out against another play off contender will be just what the doctor ordered to fire us back to winning ways. Fifth!! Not only did Brentford steamroller Wigan Athletic to book their play off spot against Middlesbrough but with both favours being granted – Blackburn Rovers beating Ipswich Town 3-2 and Derby County being spanked 3-0 by Reading at the iPro – it has seen us finish with only four teams above us in the final Championship table. Hats off as a great season comes down to the wire. As Brentford, Ipswich Town, Derby and Wolves prepare to discover which two of us will make it into the play off race on Saturday, Bees fans were given a massive boost last night. 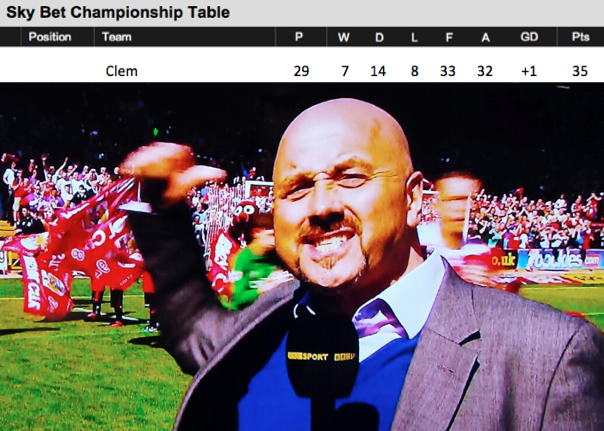 Despite a sudden rash of rumours sweeping Twitter, it was confirmed by Manish that although our clash with Wigan Athletic will be the ‘feature game’ on The Football League Show, Clem will not be at Griffin Park this weekend. The flurry of transfer activity at Brentford this week as we prepare for life in the Championship has got me thinking. What is the protocol when recruiting a new player? That is, once the niceties of negotiating terms, signing contracts and posing for a photograph with the shirt are done away with? Specifically, how does he choose his squad number? Indeed, does that even form part of the contract talks or is it simply handed down by the manager from the pool of available ‘spares’? And would the current squad get first crack at any new opening? 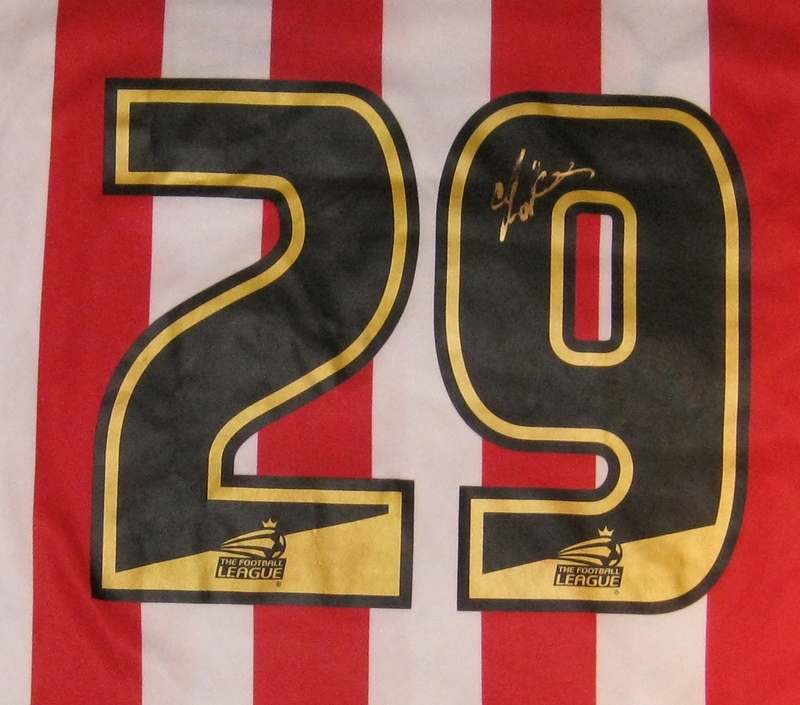 With Clayton Donaldson heading to Birmingham City (although, like Marcello Trotta, his profile still remains in the ‘team’ section on the Bees website) that coveted number 9 shirt is now available. New boy Moses Odubajo, who was announced on Friday as having joined from Leyton Orient has already bagged number 10. Rumoured to be for a fee over GBP1million, per the East London press, this is great news. Who knows if the sight, and Russell Slade’s subsequent talk, of those ‘FA Cup like celebrations’ helped sway his decision? One would presume that yesterday’s other new signing (announced along with contract extensions for David Button and Stuart Dallas), the free scoring Andre Grey from Luton Town, has his sights on that vacant ‘9’. Was it a wasted opportunity for the likes of Alan Judge (18)? Could James Tarkowski (26) and Adam Forshaw (4) have negotiated between them to give the central defender that position’s traditional 4? Indeed, does it even matter to players or are they the superstitious sort that, once allocated a number, keep it until they leave a club (or beyond)? Does a squad number make a difference? Obviously, it makes no real difference to what happens on pitch but, whilst I’m all for progress in the game, I’m ‘old school’ at heart. 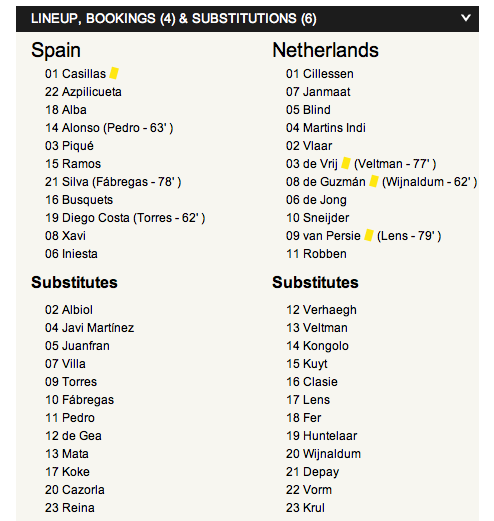 Seeing a team line up numbered 1-11 gives me a certain reassurance that it ‘looks right’. 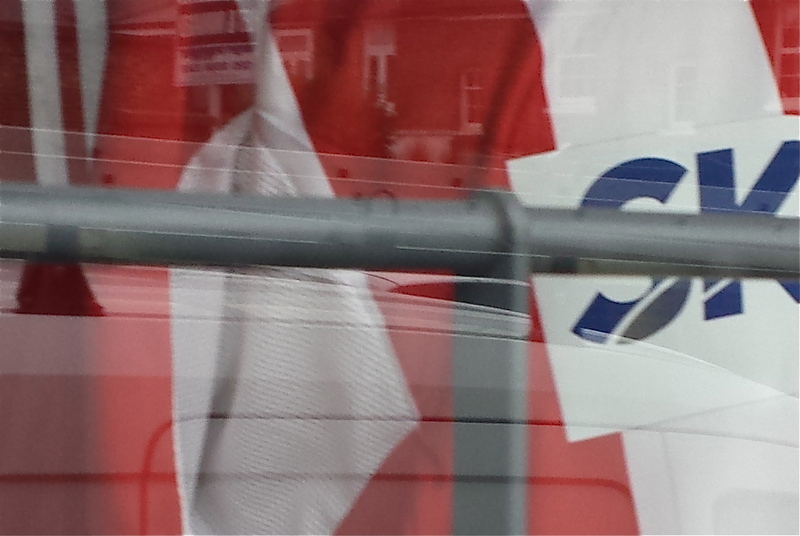 An additional little ‘good luck’ omen (to sit alongside the lucky shirt, magic pants and pre-match pint). Or perhaps I just have OCD? Watching the (so far) all-conquering Netherlands in the World Cup they have achieved this feat despite the permutations possible in a 23-man squad. Has their manager Louis van Gaal (real name: Aloysius Paulus Maria van Gaal) just ‘got lucky’? Or has he had the balls to name his first choice starting XI well in advance and then allocate 12-23 amongst the rest? I can only hope it is the latter and if so, whilst I don’t care a jot about the tribulations at Manchester United, then self-confidence of that nature is sure to work wonders after the debacle of the David Moyes era when he arrives at Old Trafford. 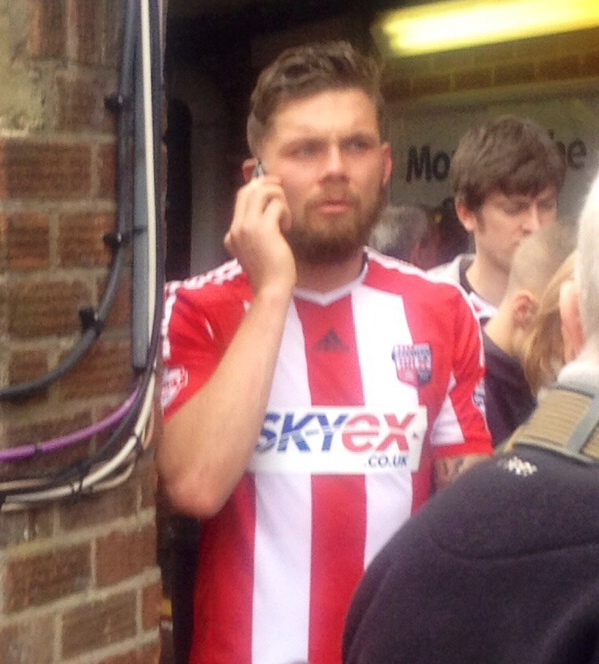 Still, for Brentford fans, they are opponents’ for 2015/16. This season, let’s concentrate on getting out of the Championship. Forget ‘survival’ – I’m aiming high. And with Matthew Benham’s cryptic clues now being unravelled (they were obvious, really…), we are certainly putting together a young, exciting and attacking squad to start that charge. MO, JR or another MT? And two anchors in budgie smugglers. When Brentford’s Championship campaign kicks off in just over six weeks with the visit of Charlton Athletic, the first XI could have a different look. Of course, this week has already seen Clayton Donaldson head for pastures new at Birmingham City whilst Marcos Tébar has swapped Spain for Griffin Park. However, lovers of social media would have seen hints from both club owner Matthew Benham and chief executive Mark Devlin last night in regards to further activity. Mark set minds racing with his late evening announcement that it had been, “Very busy in TW8 today. 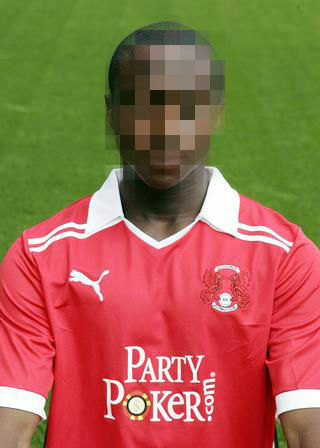 Hopefully some incoming transfer news in next 48 hours.” No further clues were forthcoming as to who these would be although the popular choice on twitter seemed to be Moses Odubajo of Leyton Orient. I have no idea where that has come from or how accurate it is but, with Barry Hearn currently in talks to sell up his interests in the club and memories of that play-off final defeat still raw, is now the time the O’s will see their prize assets depart? Matthew, on the other hand, has swapped the initials for the return of his ‘cryptic video clue’. He posted this YouTube link on his Facebook page last night, along with a similar announcement to Mark’s , as a hint about who could be coming in. Matthew is clearly a very intelligent man. You don’t get to where he has without brains. Sadly, I’m just the numpty on the terrace and struggle with anything beyond a join-the-dots puzzle. To be honest, he could have printed a picture like this as a clue and I still wouldn’t get it. Either way, it sounds very positive news and I can’t wait to see who is next to feature in ‘obligatory photo in jeans and new shirt’ corner. 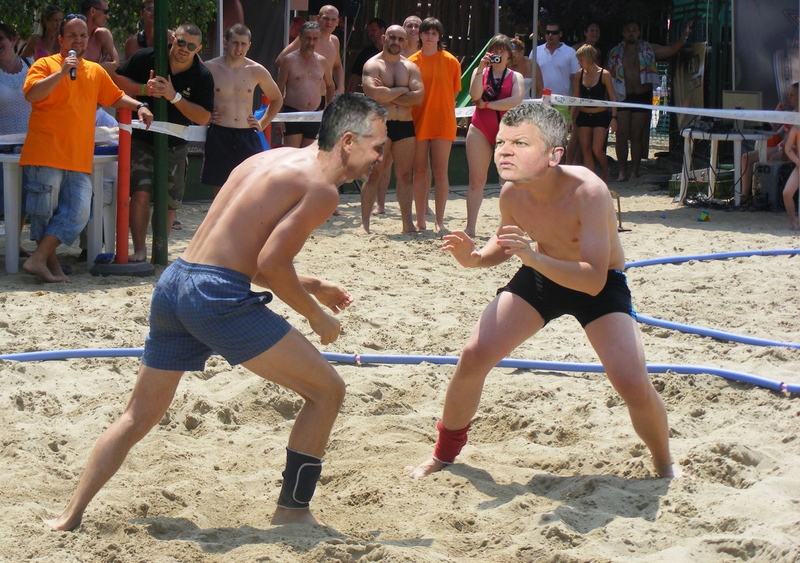 And finally, Adrian Chiles put a smile on my face last night. Not in a good way but, at least, one that showed he has a sense of humour. Readers of a sensitive disposition should look away now. I still reckon last season’s Pugil sticks are the way to go. ‘Celebrating like they’d won the FA Cup…..’ (The story of Brentford’s season 2013/14 ) – amongst other things – is now available as a digital book. Featuring the best of the not so bad columns from the last ten months, and some new content, you can download it here for your kindle / digital device. Tell me this isn’t, really, how it happens? Pack those sunnies. Is this the best football shirt ever? After the excitement of the new Brentford shirt being revealed on Monday, the club has gone one better with Tuesday’s announcement of the new Adidas goalkeeper top. Championship visitors such as former Bee Jordan Rhodes (now Blackburn Rovers) and Wolves Nouha Dicko may be familiar with Griffin Park from previous seasons but I’ll bet they’ve never faced off against one like this before. Check that Championship kit list, lads – boots, shin pads, shirt, sunglasses. This is less a goalkeeper’s shirt and more the result of some LSD induced design meeting. If ever there was a lesson in not doing drugs then here it is (metaphorically, of course – kids, don’t do it). Yet despite the initial shock – and I honestly thought when I saw a leaked picture on Monday that it was a fake, with somebody just turning up the contrast on Photoshop – I think the club and Adidas have stumbled on a stroke of genius. 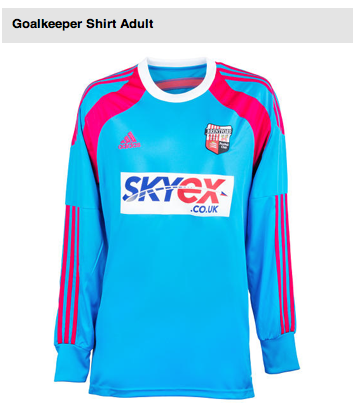 The club really are promoting this with the line: Brentford FC blue and purple goalkeeper kit. It is so shocking, so lurid, so bad that it is actually genius. Whatever it does to our opponents, I know what it is going to do to my already dwindling piggy bank. Unless the away shirt turns out to be some form of lost Da Vinci masterpiece then rather than lining up for that, I think I’ll be opting for ‘GK’ as my second choice shirt next season. And in other shirt news, I wandered up to the club shop on Monday evening where the new home kit is sitting in the window. I’m still very happy with the design of this, despite the observations floating around cyberspace about the sponsor’s logo, and note also the ‘Osca’ style at the end of the sleeves. Thanks to Luis Adriano for that tip off and, for the record, you should also check out his excellent Beesotted piece on our new kit. I’m glad I’m not the only one with shirt obsession. The other interesting point was the use of ventex style material (teabags) in the armpit region. An interesting choice, given the controversy around the perforated back form two seasons ago although, to be fair, only a small area this time around. I’m sure that the marketing chaps would call this something like ‘air flow technology designed to help players keep cool’. That said, given the bespoke design of our kit, perhaps ‘Mr Brentford’, Peter Gilham, has been involved in the creative process. Being as it features ‘teabags’, has he offered his P.G. Tips?